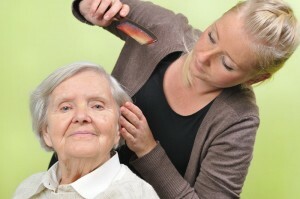 Greenhaven Health and Rehabilitation Center has a licensed beautician who visits regularly. In addition, we have a fully equipped beauty salon to meet your beauty needs. Our services include customized cuts, shampoo and sets, perms, blow drying services, and beard and mustache care. Our goal is to provide our residents with quality care. Therefore, we hold Resident Council meetings on a monthly basis. The council meeting is an opportunity for residents to express any concerns they may have, and to make comments or give kudos to our staff and facility. We offer many opportunities for religious services including bible studies on site during the week as well as weekly church services. Greenhaven Health and Rehabilitation Center’s transportation department is available to meet any appointment needs your loved one may have. We expect family members to meet their loved ones at their appointment in order to ensure that all necessary information is relayed to the resident, as well as confirm that any questions the family or resident may have are answered. However, we understand life gets busy. During those busy times, we have the ability to provide CNA care to our resident throughout their appointment.